There will always be a need for information. We see it across social media sites and in press; the public has an insatiable need to know what’s going on in the world. 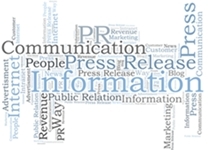 That’s why many companies see press releases as a strong online business tool, particularly as part of their SEO techniques. It makes sense: the public wants information, so you give it to them, using that information to lead them back to your business’ web site or blog. Modern journalists working in newsrooms receive thousands of press releases daily, but only a few make the headlines. If you are going to take the time to create a press release, send it to a newswire center, and pay the necessary fees, make sure it’s something that the general public will be interested in. When it comes to writing and content creation, press releases have a specific structure; namely, they are usually one-and-a-half pages long and provide the reader with only the essential information. This structure can work in your favour, though, as you can add both competitive keywords and long-tail keywords to drive SEO with the release once it goes live. And of course, make sure the press release uses correct spelling and grammar. To add to a business’ SEO techniques, today’s press releases allow you to embed videos and sound bites into the content. This can help draw attention to your company, as additional media makes it easier to educate the reader. This media can even be optimized as well! You can always perform link building or interlinking between the press release and your web site and social media sites. Most press releases allow for this option, which should not be ignored if your business hopes to increase its client traffic. That’s because if people read your information, they will want to be easily connected to its source. Remember that press releases are only so beneficial as an SEO technique. What that means is that while they have potential to attract clients, they should not be the whole of your SEO campaign, but rather simply a part of it. There’s no harm in using press releases, you just have to make sure they are used in conjunction with other SEO techniques.